The quarter finals ended today with both of the favourites going through, but one of them had to suffer the drama of a penalty shoot out to get to the Semi Finals of this pulsating World Cup. And so the vaunted "Dark Horses" from Belgium are out of the World Cup, with a whimper, after succumbing to Gonzalo Higuaín's half-volley for Argentina early on in this one. For a team heading into the World Cup with high hopes, Belgium never really convinced in this tournament. There was a slow tempo to their play, and too many key players like Eden Hazard did not hit the heights they are capable of. Argentina entered this one with a few doubts about them as well, with Lionel Messi seemingly their only source of inspiration and goals, they too needed certain players to step up. After a bright start, the Albicelestes took the lead through Higuaín finishing off a play started by Messi. Unfortunately for the South Americans, flying winger Angel Di Maria had to come off before the half time break with a suspected thigh injury. As Belgium huffed and puffed to get back into it, Argentina settled into more of a defensive shell as they thwarted everything the Red Devils tried. Higuaín was still dangerous on the break though, and even wrung one off the crossbar part way through the second half. 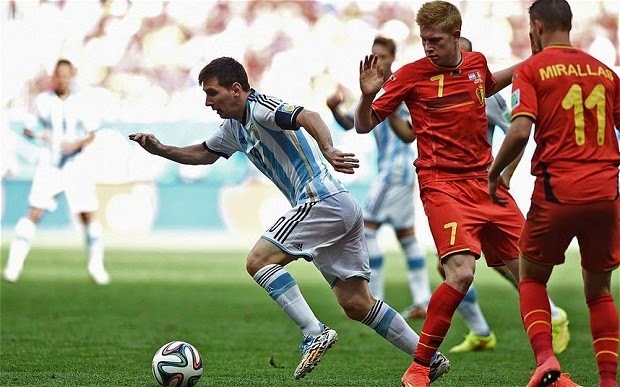 Messi, meanwhile, when not trying to avoid Marouane Fellaini's awful challenges, staged a personal duel with Belgium keeper Thibaut Courtois that the Belgian came out on top of. He was brilliant, but his team were bereft of ideas and are deservedly heading home. Argentina, after Di Maria went off were very conservative and more interested in protecting their lead than extending it, but this was a solid, professional performance. In making it to the Quarter Final stage of this tournament, and along the way taking down both Uruguay and Italy, this Costa Rica will live long in the memory. Seen as the whipping boys of Group D when the World Cup draw was made, no one saw this coming. Going into this match against the Netherlands, many predicted that it would be a step too far for the Ticos, and in the end it proved to be, but oh how close they came. As expected the Netherlands controlled possession throughout most of this one, but were unable to carve out many clear cut chances. Costa Rica meanwhile, were very wasteful in possession and did not want to commit too many men forward into attack as they looked to frustrate the Dutch. The Netherlands did come closer and closer to snatching it in the second half, with great chances falling to Robin van Persie, Arjen Robben, and Wesley Sneijder. Keylor Navas, as he has been all tournament long, was scintillating in goal for Costa Rica though and repelled all that came his way. 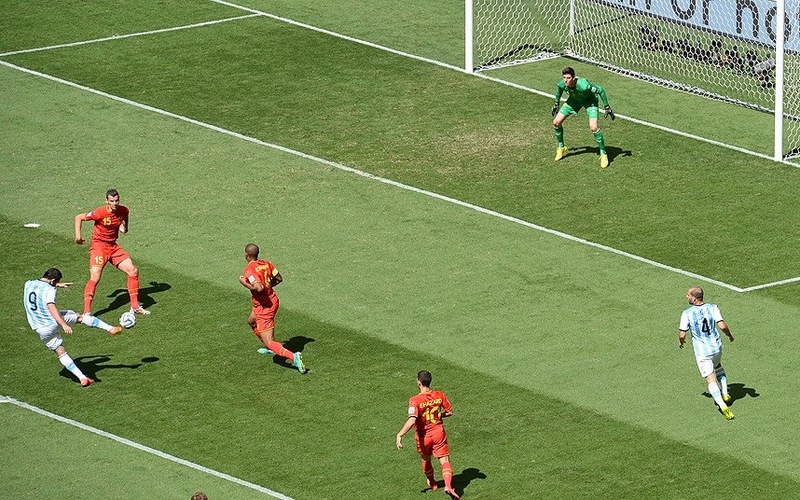 The Netherlands looked to have won it just on the stroke of normal time when Van Persie found himself in the clear, but his shot was blocked by a defender on the line. Unfortunately the second half was marred by some pathetic diving by Robben, as he conned his way to several threatening freekicks. For a player as talented as the Bayern Munich man obviously is, it's a shame that he resorts to such behaviour. Extra Time continued the pattern of normal time with the Dutch dominating possession and Costa Rica clinging on for dear life. With ten minutes to go though, the match finally opened up and there were some thrilling chances at both ends. Costa Rica's Marcos Urena worked himself into a great shooting position with minutes to go, only to see his shot well saved by Jasper Cillessen. There was drama then at the other end as Sniejder smashed a delicious shot off of Navas' upright. With time nearly expired and penalties looming, Louis van Gaal sent on Newcastle keeper Tim Krul to handle the penalty shootout, and what a job the big man did. 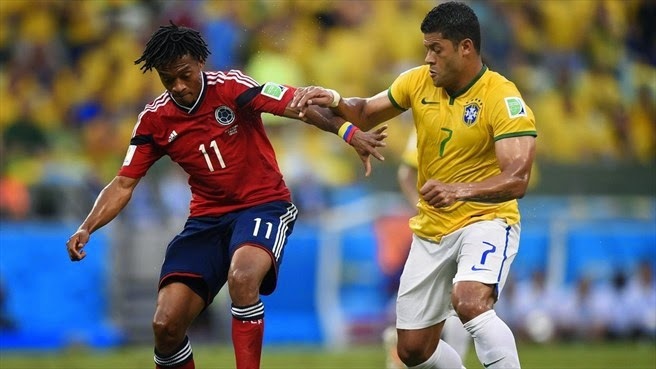 Getting into the heads of the tired Costa Ricans, he saved two of the five penalties he faced to send the Dutch through to face Argentina. The Netherlands will now face Argentina in what is sure to be a memorable Semi Final. Both Iain and Pedro had the correct result and score in the first match of the day, with Argentina downing Belgium 1-0. Kon incorrectly predicted a Belgium win via the shootout in that one. In the second match, both Iain and Kon expected the Netherlands to hammer Costa Rica, but the Central Americans held on until eventually losing on Penalty Kicks. So with Pedro only predicting a 1-0 defeat for the Ticos, he came the the closest to getting both results correct today.